New-patient growth rose after the clinic opened. Patients walking in the front door of the University of Minnesota Health Clinics and Surgery Center in Minneapolis may do a double take, thinking instead that they've entered an Apple store. Registration desks have been replaced by greeters armed with iPads. Patients are tagged electronically so providers can find them anywhere in the waiting areas—on lounge chairs near windows, at counters with stools, on conventional chairs and couches—without calling out their names. And when possible, patients' lab tests are scheduled before their visits, making the actual visits more efficient. The focus on consumerism and a more patient-centric environment is paying off. 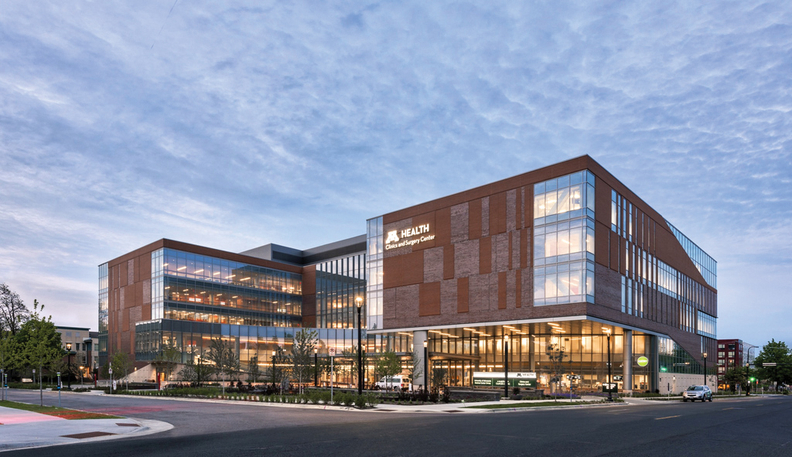 Since the University of Minnesota Health (M Health) opened the five-story, 342,000-square foot facility in 2016, new-patient growth is up 14%. That's good, because the space allows providers—across 37 specialties—to see twice as many patients as they could before when they were spread out in various locations around campus. 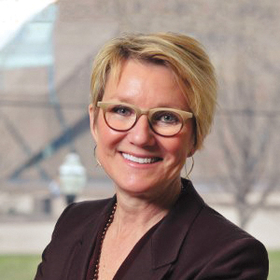 Innovation: M Health's new clinic can shift as technology and workflow change. Inspiration for the space came from Apple. Status: Since M Health opened the facility in 2016, new-patient growth is up 14%. A fair amount of the design inspiration came, as it so often does, from Apple. To that end, the clinic has no individual physician offices. Instead, physicians share desks in open spaces that encourage collaboration. “Instead of being in my own little silo, right next to me I have all kinds of providers, so when I have questions about my patients, I can easily ask,” said Dr. Bradley Benson, an internal medicine physician and pediatrician at M Health. And if he can't find a fellow provider, he can consult what he jokingly calls the “marauders' map,” finding the person on screen much as a provider would find a patient in the waiting areas. Patients seem to be happy with the changes, Johnson said: The clinic gets three times more compliments than complaints. M Health's bottom line is smiling, too. After the health system moved many of its clinics from hospital-based reimbursements to a free-standing model, it faced reduced revenue. “That really required us to look at how we could take costs out,” Johnson said. The resulting operational changes spurred by the new clinic saved between $60 million and $70 million in capital costs.